Satguru and Sannyasin Shanmuganathaswami have attended the Tamil Path to Siva launch event. Satguru was received with beautiful fanfare. He then proceeded to present the book and some of the material it contains. The book is already being distributed to many schools in Malaysia. It is a much needed resource for the youth today and now will reach a much broader audience. This entry was posted on Tuesday, June 5, 2018 at 1:26 am and is filed under Publications. You can follow any responses to this entry through the RSS 2.0 feed. You can leave a response, or trackback from your own site. This entry was posted on Sunday, May 13, 2018 at 7:45 pm and is filed under Publications. You can follow any responses to this entry through the RSS 2.0 feed. You can leave a response, or trackback from your own site. Our saints have sung that Siva is within us, and we are within Siva." Having devotion to Siva, having Siva in your heart, offers protection during difficult astrological times. Choose good days for major events in your life and for compatability in major partnerships. Siva is a compassionate God and the way He set up astrology was compassionate; it goes back and forth between positive and negative periods. Path To Siva, Lesson 39. This entry was posted on Saturday, January 20, 2018 at 5:12 pm and is filed under Bodhinatha, Publications, Theology. You can follow any responses to this entry through the RSS 2.0 feed. You can leave a response, or trackback from your own site. 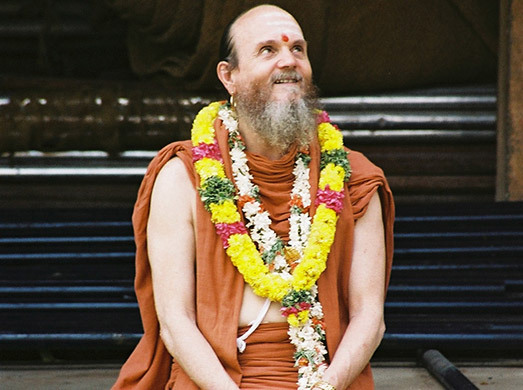 Path to Siva: What Is Our Heritage of Gurus? "Since the beginning of time, the power, or shakti, of God Siva has been carried forth by enlightened beings, satgurus." Spiritual progress is achieved through abhyasa, daily practice, and vairagya, dispassion. Dispassion is being detached enough to be getting happiness from inside ourself not outside from the world. Control awareness; find and claim joyousness and peace every day in all environments. "Naam ariyom-We do not know." When we get really deep inside to find the deepest truth it can not be explained. Path To Siva, Lesson 36. This entry was posted on Thursday, January 4, 2018 at 1:37 pm and is filed under Bodhinatha, Publications, Theology. You can follow any responses to this entry through the RSS 2.0 feed. You can leave a response, or trackback from your own site. Why Is the Satguru So Important? , Lesson 35 (November 19,2017) Also available in the SivaSiva App. The satguru helps his devotees mover closer to God, deeper into themselves, into the sat, the real,the truth. Turn away from the world/asat--that which is not the truth, to find the truth/sat. Sat has no beginning and no end; it is eternal. The world is relatively real, it exists but is constantly changing. That which is absolutely real exists and is changeless. 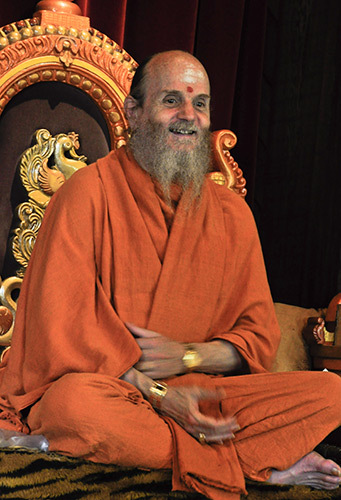 The satguru is trying to help you find that part of us that doesn't change/sat. Path To Siva, Lesson 35. This entry was posted on Sunday, December 31, 2017 at 2:23 am and is filed under Bodhinatha, Education, Publications, Uncategorized. You can follow any responses to this entry through the RSS 2.0 feed. You can leave a response, or trackback from your own site. SivaSiva App Now Available for Android Phones! Jai Ganesha and Happy Pancha Ganapati to all our Android users! SivaSiva is now available for your devices. Search "SivaSiva" all one word in Google Play or the App Store (for iOS) Thanks especially to all our Digital Dharma Drive supporters whose contributions have made this, and more to come, possible. This entry was posted on Monday, December 25, 2017 at 7:55 pm and is filed under Publications. You can follow any responses to this entry through the RSS 2.0 feed. You can leave a response, or trackback from your own site. This entry was posted on Thursday, November 23, 2017 at 7:43 pm and is filed under Education, Hinduism Today Magazine, Publications. You can follow any responses to this entry through the RSS 2.0 feed. You can skip to the end and leave a response. Pinging is currently not allowed. The monastery published the Character Building Workbook in 2015 as "a tool to help children and adults build, transform and improve their character." The workbook guides seekers toward goals of self-restraint, self-reliance, productivity and to have an overall sense of strength in character. To teach virtue is sometimes regarded as impossible, and whether it can be taught or is remembered is a deep philosophical matter in and of itself. Whatever the truth may be, Eastern sages and wisemen of history such as saint Avayar, Tirumular, Tiruvalluvar, and Western philosophers and Stoics such as Socrates, Plato and Epictetus, have all tried their best to, if at all possible, teach what they regarded as virtue in character and action. A new series on our Monastery blog will be to take the sixty-four character traits and expand on them, one by one, and see if we can get a better understanding of our magnificent and complex virtuous soul nature. We begin with the first trait: Abstemious. Abstemiousness is a quality that spiritual seekers must have. There is no denying that without some form of restriction yogis, swamis and sadhaka of the Hindu faith would not be able to bring eternal truths down to our normal plane of reality. Whether it be with foods that we all know we shouldn't be eating in excess, or activities that bog us down and make our lives miserable--self-denial and restriction often make us much more effective human beings at the same time making us more receptive to the shakti of a temple deity. In our search through life we end up seeking some sort of wholeness or some completeness that either rebuilds us after losing our way or we simply just get older and more mature--usually that means the age we stop partying and start to realize we have to do something with our lives and actually make something of ourselves. In other words, we become aware that we are consciousness as we get older and living inside an excessive world starts to just feel bad. Our highest potential and soul nature often wants to avoid indulgent behavior, but that doesn't mean it comes naturally. Abstemious does not mean you become perfect, it means you sacrifice that which is easy for that which is hard. Over time we can expect change but this isn't an overnight experience. In the words of my guru Satguru Bodhinatha Veylanswami, we want progress not perfection. What happens when your attempt at being abstemious doesn't work? Historically great souls do not avoid failures, pitfalls and distractions, what they do is overcome them over time. Anticipating failure can be a powerful tool to keep you from entering despair and frustration as you take a few steps towards your goal, and a few backwards. No boxer has ever entered a ring expecting a perfect match and to never be hit. He trains for the hit, anticipates challenge and is determined to get back up when it happens, not if it happens. Progress not perfection. Using moderation in an effort to clear the subconscious and uphold a higher moral standard means we are on the path of self-denial and sacrifice. We give up those things that are no longer any use to us and to our goals. This takes constant effort, and to retrain the mind and body will often require being attentive to our weaknesses and keeping our guru informed every step of the way. The waking hours isn't enough either; as we know from Gurudeva's teaching, our sleep and dreams must also be a place of purity if want to completely own up to the duty we have as seekers on the path. Aristotle's teaching on the subject is truly timeless, "For moral virtue or excellence is closely concerned with pleasure and pain. It is pleasure that moves us to do what is base, and pain that moves us to refrain from what is noble. And therefore, as Plato says, man needs to be so trained from his youth up as to find pleasure and pain in the right objects. This is what sound education means." "Virtuous conduct leads a man to eminent greatness. Therefore, it should be guarded as more precious than life itself." We end with the Workbook's assignment for the weeks ahead: For the next two weeks, when tempted to eat or drink too much, restrain that desire by using your willpower, eating and drinking a reasonable amount. This entry was posted on Tuesday, November 14, 2017 at 7:48 pm and is filed under Education, Publications. You can follow any responses to this entry through the RSS 2.0 feed. You can skip to the end and leave a response. Pinging is currently not allowed. 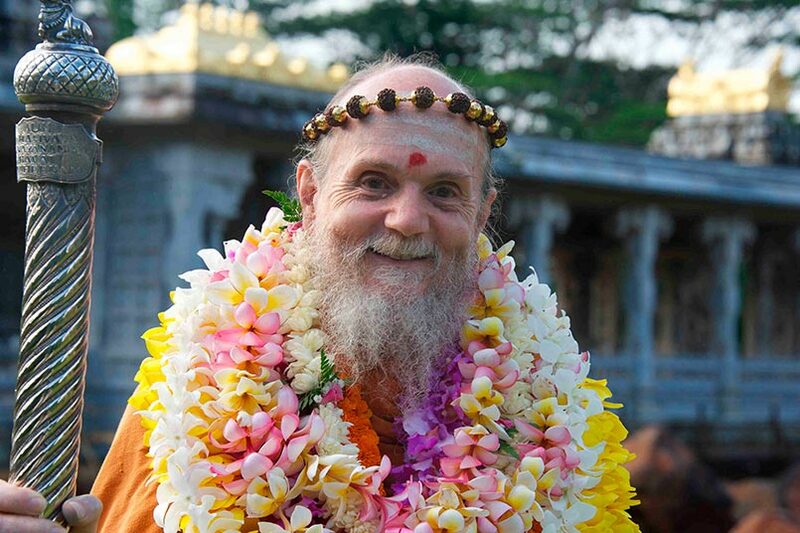 Our newest publication Path to Siva is explained by Satguru Bodhinatha Veylanswami as, " based on Dancing, Living and Merging with Siva, the Master Course Trilogy created by my Gurudeva, Sivaya Subramuniyaswami. Path to Siva presents all of the important teachings of our Saiva religion, Shuddha Saiva Siddhanta. It is written with youth in mind, but is also ideal for anyone who wants a condensed version of the Master Course. Note that we have reluctantly adopted the English-language style of using masculine pronouns, such as He and His, when referring to God and the Gods, even though they are beyond gender. Other options, for now, are awkward." Satguru goes on to say from the introduction, "For Youth: The sixty-eight lessons in this book cover the most important things a Saivite Hindu needs to know. Each lesson is short--just one or two pages--but packed with information. Here you can find answers to questions about God Siva, Lord Ganesha, Lord Murugan and the devas--how they can help us in our lives, and how to contact them through temple worship and home puja. You will find clear explanations of karma, dharma and reincarnation, and how to use japa, meditation and affi rmations to make your life better. You will learn the best ways to live in order to achieve your most important goals. The lessons include insights on home life, getting along with others, religious tolerance, vegetarianism and caring for the environment. They cover difficult philosophical areas, like death and dying, reincarnation, sin and evil. Absorbing these short essays will provide a clear understanding of our practices, beliefs and philosophy and give you a deep comprehension of life that few people have. For Teachers: This book is intended for youth age 10 and older. As the teacher, you should be sure your students understand all the words of the lesson text. This will make the meaning much clearer in their minds. Encourage them to ask questions. "For Parents: This may be the most important study your child undertakes. It is the study of Saivism, the oldest form of Hinduism, and more specifi cally of Saiva Siddhanta. Some parents feel that the study of religion is not important, that their children should focus solely on academic studies. A wiser approach is to include both. The study of Saivite Hinduism as presented here explains many practices that will help your child excel in his or her academic studies. It also creates a more balanced life for children, a happier and less stressful childhood and more mature relationships. Take an interest in your child's study of Path to Siva by reading all the lessons. Consider this catechism the education of your child's soul and conscience, a spiritual training that will prepare him or her to understand our religion, practice it with knowledge and be able to use its wisdom and insights in facing the challenges of life. Encourage your child; help your child with the lessons and you may find answers to questions of your own in the process." This entry was posted on Thursday, November 9, 2017 at 7:48 pm and is filed under Education, Publications. You can follow any responses to this entry through the RSS 2.0 feed. You can skip to the end and leave a response. Pinging is currently not allowed. The SivaSiva App provides structured mobile access to the vast resources on our websites. Modules provide quick access and interaction with content related to Saivite Hinduism. The app also provides a gateway to our media collections. There are also interesting tools for your spiritual life, realms of practice, study, fun and upliftment, portals to our rich culture and philosophy for a mobile generation. Click here to go to the iTunes App Store to download the app to your phone or computer. We value your input. Please share with us what you feel will be useful for your personal life, practice, spiritual and cultural growth. use the "Feedback" option at any time to send us bug reports or ideas for future versions. Version 1 is just the beginning. "SivaSiva" is a revered mantra from South India naming the divine within all. This app is a portal to the ancient, profound wisdom and rich culture of that tradition, retooled for the 21st century. It seeks to reach today's mobile generation who seek to understand Eastern metaphysics, find spiritual roots and enjoy authentic spiritual experience. SivaSiva offers inspirational quotes to uplift your day, awesome photos and art, access to an extensive audio library, YouTube videos and more. Version One has tools for practice and study. 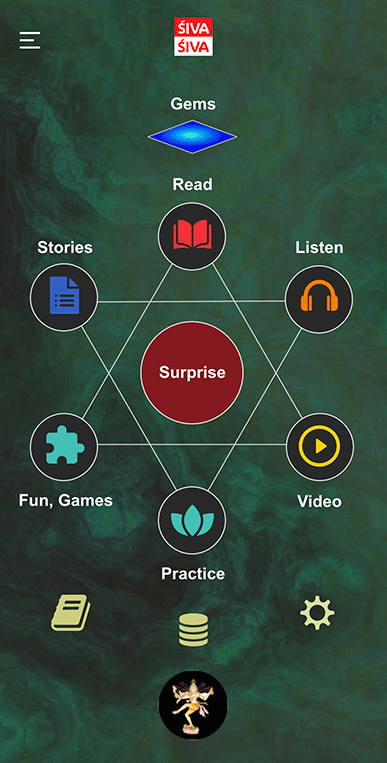 Use the app to learn the basics of Saivite Hinduism by diving into the Path to Siva book, which is resident in the app even if you are off line. Read the daily Master Course lessons and practice Color Meditation. The entire current issue of Hinduism Today magazine is available inside the app. Quotes from books give you instant access to their source. A journal tracks your history. Tap favorites to come back to them tomorrow. Have fun with the word-puzzle and learn key concepts at the same time. SivaSiva is a tool for all those who seek daily spiritual upliftment. The SivaSiva App is follows the model of the popular Asian "Megaapp" — which is like going to a giant super mall, a one space in which many needs are met. It is one large app that serves multiple needs that once would take many small apps. A big challenge and requirement for this app comes from the age and interest levels of our users, who range from 14-year-olds who know little about Hinduism, all the way up to 80-year-old devotees who are knowledgeable and dedicated Saivite Hindus steeped in the tradition. Currently we have little content for small children. This will change in future versions, as we find ways to add modules that meet the "fun" requirements of both adults and 8-year olds at the same time. This entry was posted on Wednesday, October 11, 2017 at 9:37 pm and is filed under Education, Publications, Sadhana. You can follow any responses to this entry through the RSS 2.0 feed. You can skip to the end and leave a response. Pinging is currently not allowed.